Portsmouth Communications supply and install the entire range of Panasonic KXT, KXTDA, NCP500 & NS700 business telephone systems. Whether your organisation requires just a few extensions or hundreds there will be a Panasonic phone system to match your requirements. There is also a great range of handsets available to suit each user’s individual need(s) and the DECT solution (cordless telephones) is excellent for users who need mobility within an office or factory environment but need to remain in constant communication. 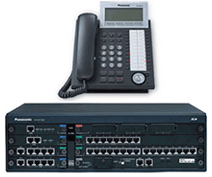 We offer Panasonic a telephone system range that includes IP Phone Systems, Hybrid Phone Systems, Digital Phone Systems and Analogue Systems which are easy to set up, and offer flexibility and manageability making them the ideal telephone system solution for your business. What makes the Panasonic phone systems so popular? Excellent cordless phone (DECT) solution available. Analogue or ISDN line connectivity. Small analogue phone system ideal for the small office/shop/home office/pubs & restaurants etc. Our business telephone systems are suitable for a number of industry sectors, including healthcare, sales, education and public administration. Accurate and enhanced routing options coupled with flexible integrations with computers make our telephone systems flexible. With powerful and adaptable features they can provide you with everything you require to maintain contacts and manage current and prospective clients whether you are a manufacturing, distributing, finance, education or public service organisation, provide professional services or are in sales and marketing. Panasonic has continued to demonstrate its commitment to providing future-ready products, developing new hardware and software as network services and customer needs evolve. This is clearly seen in the Panasonic KX-NS and KX-NSX series of products that are designed to be backwards compatible while maintaining their renowned ease of operation. 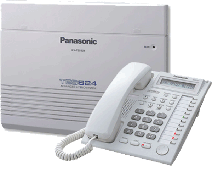 Panasonic Business Phone systems are also renowned for its reliability. The systems are manufactured to the highest possible standards at a factory that has earned ISO 9001 certification for design, development and manufacture of telecommunications equipment. Investment in a telecommunication system requires business communication foresight. Businesses need to be able to effectively communicate today and into the future. 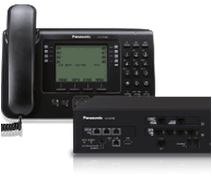 When you invest in a Panasonic Business Phone system, you are investing in a reliable and future proof product that is equipped to handle the growing demands of your future communication needs. Panasonic is committed to making a contribution through their business operations to improving the lives of people around the world. Panasonic guarantees a high standard of quality control so that every product is tested for excellence using the international standard ISO 9000 and backed by a 12 Month Standard Product Warranty. We were very pleased with the excellent professional service provided by Portsmouth Communications.They delivered on time, as promised within budget. We will definitely use them again and would recommend them to any company…..Portsmouth Communications provided a complete solution for us. The Avaya IP Office telephone system they have installed for us is excellent and very simple to use. 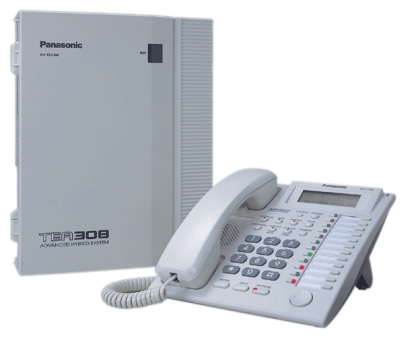 Why not speak to our Telephone Systems team about the Panasonic Phone System solution.